Thomas Rhett‘s 2017 Home Team Tour recently made a very special stop St. Jude Children’s Research Hospital in Memphis, TN on Friday (March 24). 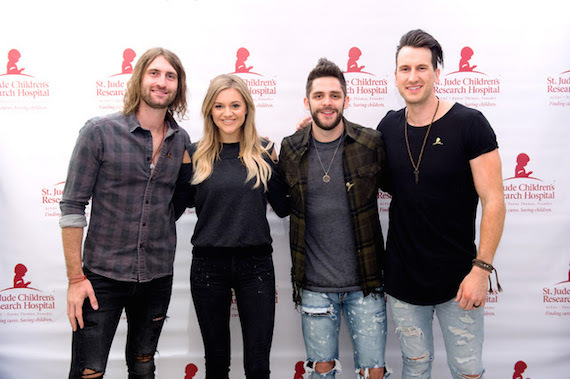 The multi-ACM nominee brought along friends and tour openers Kelsea Ballerini, Ryan Hurd and Russell Dickerson to spend the afternoon decorating hats, coloring and spending time with patients at one of the world’s leading research and treatment hospitals. RCA Inspiration honored Kirk Franklin during the Stellar Awards weekend, presenting Franklin with a plaque to commemorate RIAA certified sales of more than 10 million albums over his career thus far. 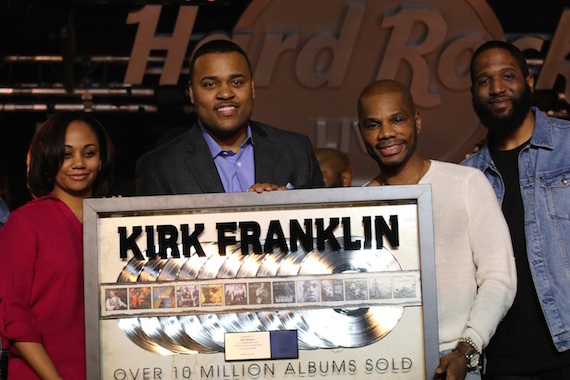 The plaque was presented to Franklin at Brand Maverick Entertainment’s “An Afternoon with Kirk Franklin” Hollywood Confidential event, powered by RCA Inspiration and sponsored by Walgreens, which took place on Friday March 24, 2017 at the Hard Rock Cafe in Las Vegas. Chris Young and Folgers have announced the five finalists for this year’s Folgers Jingle Contest. 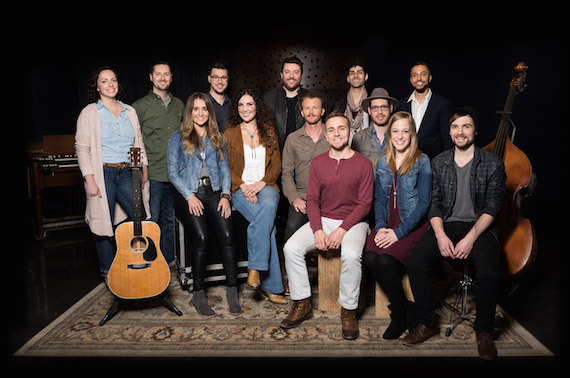 Finalists include Ryan, Briana, and Caleb Vanderburg of Midlothian, Texas; Greg & Andy, from Venice, California and Los Angeles, California; Katie Austin & Lainey Wilson, from Nashville, Tennessee; The Brashers from Denton, Texas; and J Dodd & Stephen James from Panorama City, California, and Los Angeles, California. Now through April 24, 2017, coffee fans across the country can vote daily at Jingle.FolgersCoffee.com for their favorite finalist’s jingle to be chosen as the $25,000 grand prize winner. Each voter can enter for a chance to win daily prizes and an online vote grand prize of $10,000.